Finished this movie about 3 hours ago and I fell in love with it. 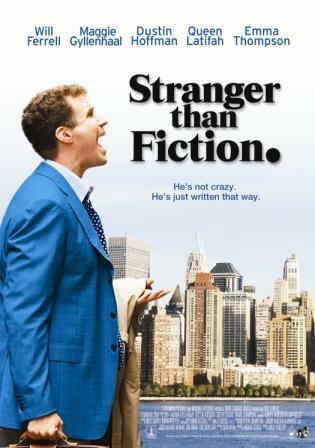 I like Will Ferrell’s movies but I’m not too fond of him so I parked this movie for year until finally, I was not in the mood to watch action movies so I looked for a comedy movie. Like what I’ve established in my previous blog post…I’m a movie addict. I confess, I’m a movie addict. This is my first blog entry after 2 years. I’m not a writer nor a blogger so I’m normally lazy to write my blurbs. But this year, I’ll try to write more. I love watching movies. I’ve been watching at least 1 movie a day for about 3 years now since I moved to Singapore. I’ve watched quite a lot of movies. I’ve watched it all. From comedy, thriller, romance, “ART” films, gay, mystery, action, musical, cartoons, documentary to animation, I’ve watched it all. I watch everything. I watch very crappy movies and I watch amazing ones too. There was one weekend where I watched 9 movies in 1 day. I don’t know how that can be possible but I did it.